Is This An Assassination Announcement? This was tweeted then deleted but as many should know ‘anything’ posted anywhere including FB or any other of the multiple social sites forever keep what was sent. People screenshot this tweet immediately so here it is. Nancy Pelosi was taking a ‘cabinet’ and several family members on her planned excursion to Brussels, Afghanistan, & Egypt but President Trump cancelled her use of Military flight but suggested for her to fly commercial didn’t deny her going as some news outlets were saying just disallowed tax payer funded military plane. Also, JFK’s complete cabinet was out of country when he was assassinated, did you know that? 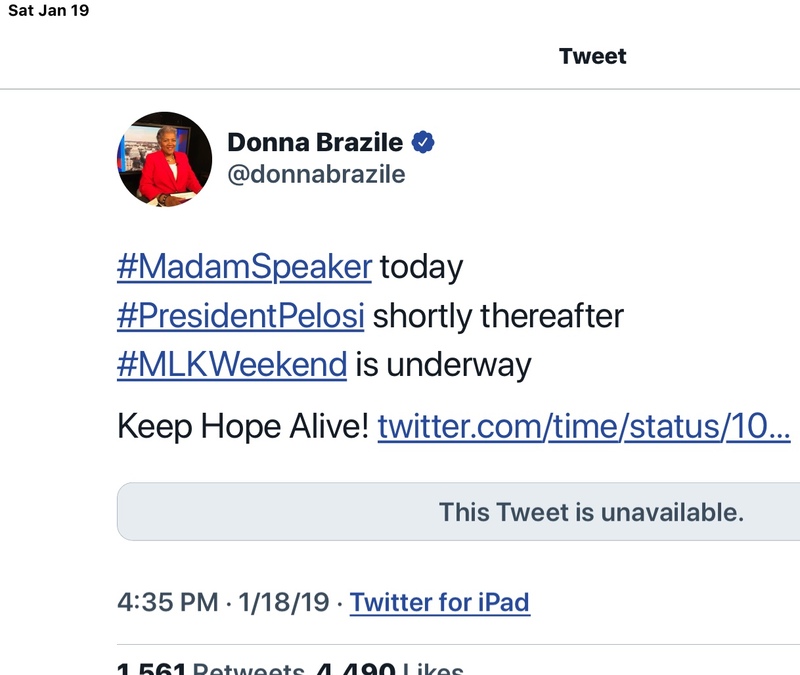 She has now completely blocked President Trump’s SOTU from the House Floor. Speculation: if the plan is to remove POTUS & VP to position Pelosi as POTUS denying him SOTU at House would exempt Pelosi from having to attend another venue and create an area for a huge 9/11 type event to take their power back. No evidence purely speculation based on scattered truths. PRIVATE: This is Not A Public Communication! This private email message, and any attachment(s) is covered by the Electronic Communications Privacy Act, 18 U.S.C. §§ 2510-2521, and is for the sole use of the intended recipient and contains privileged and/or confidential information. This entry was posted in ALERTS, CORRUPTION, DEEP STATE CRIMES, NEWS, PRESIDENT TRUMP, VIDEO by Republic for Michigan. Bookmark the permalink.